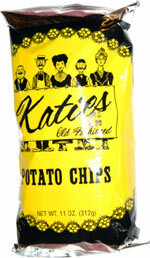 Taste test: These are pretty good potato chips, thinly cut, kind of greasy, with lots of potato taste. They have a light feel to them, so when you eat them, they don't taste all that filling. Smell test: Potatoey, a bit oily.